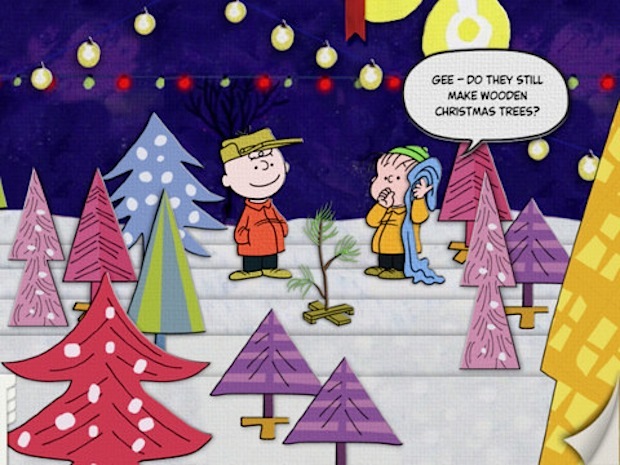 The holiday classic “A Charlie Brown Christmas” is now available as an interactive story book on the iPad. Featuring digitally remastered illustrations from the original 1965 animated TV classic, it features voice narration and the soundtrack from the original Charlie Brown episode, but the experience has been optimized for iOS. You can play Schroeders piano, finger paint, interact with items on screen, and even decorate your very own Charlie Brown Christmas tree. I got a Charlie Brown tree in my living room right now. Peanuts!